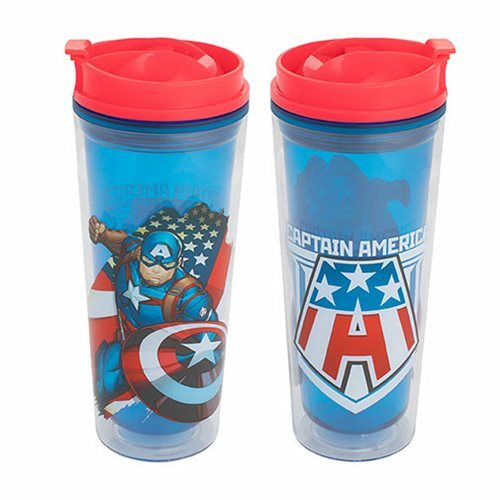 Don't leave home without your favorite beverage and your favorite super soldier. You won't have to with the Captain America 16 oz. Acrylic Travel Tumbler! Featuring a screw on flip top lid, the double walled design keeps drinks cold and hot. Measures roughly 8-inches tall. Hand wash only. Do not microwave.